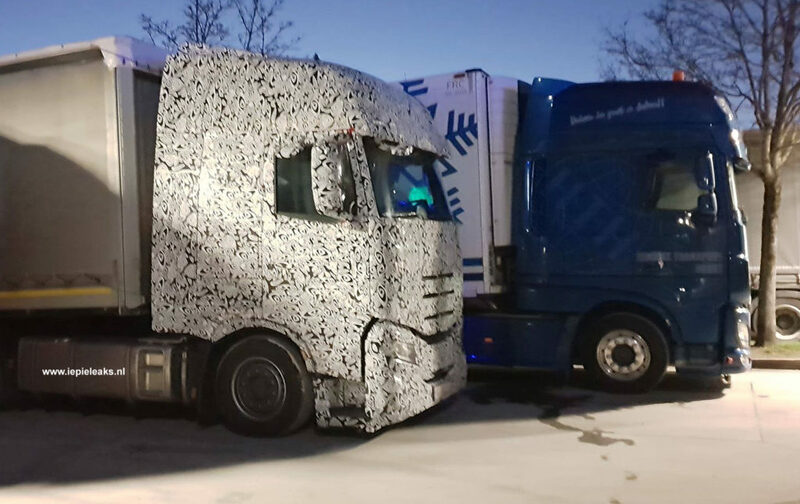 This week a Dutch truck driver woke up in the morning and found this truck next to his DAF. Even before he took coffee or breakfast he got out of his cab to make these exclusive photo’s for www.iepieleaks.nl! The pictures were taken on the Autohof Türkheim in the South of Germany. 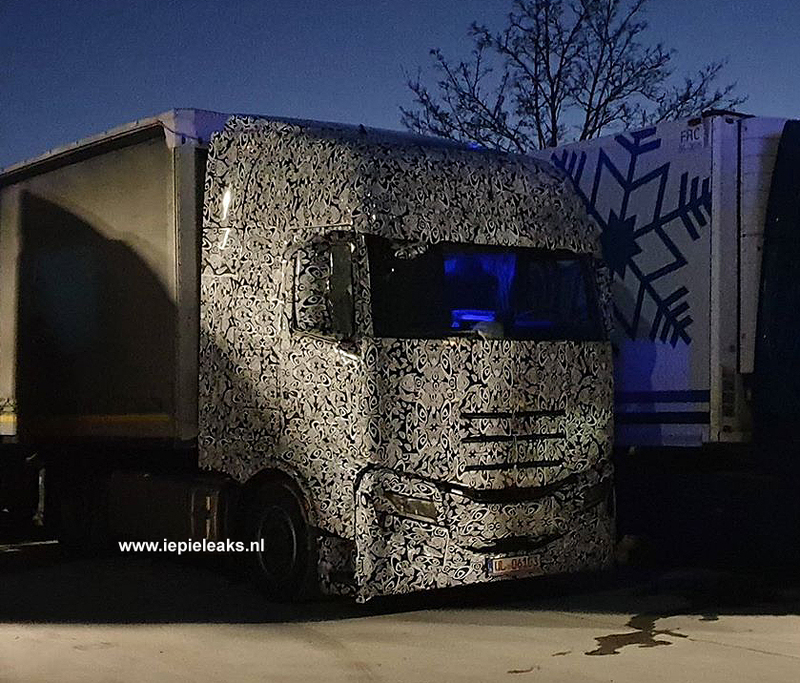 The truck has license plates from Ulm, and we do recordnise the new Iveco that is to be reveiled this summer. When we compare the cab the size is almost the same of the DAF Super Space Cab. 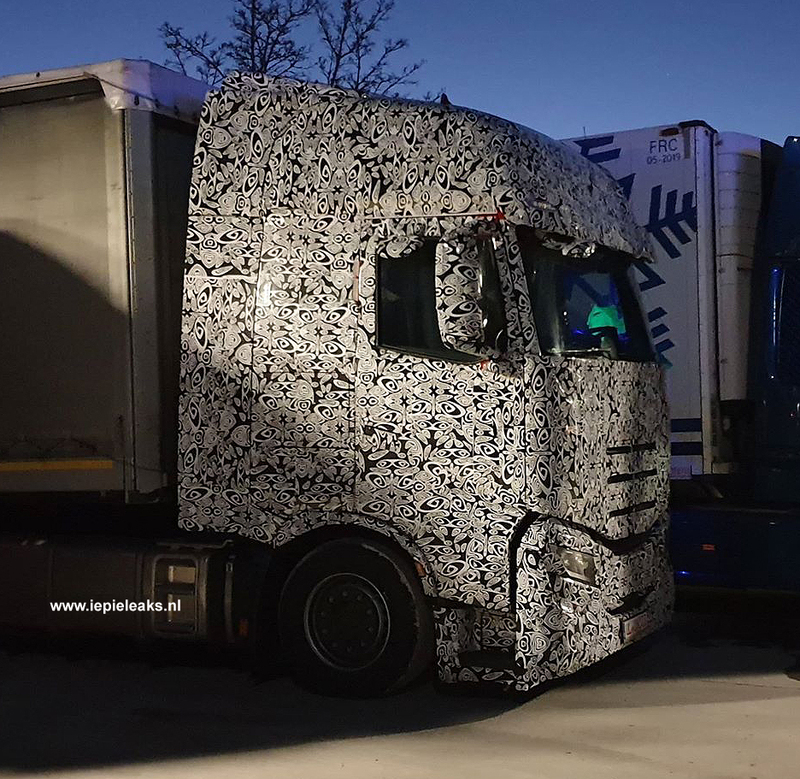 The interior seems to have the same dashboard but the blue light looks like it has a solarium in there..
← Again new Volvo trucks caught on photo and video!